Every once in a while, but not that often, one of HTC's last year flagships gets discounted. The HTC U11 was launched in the US in 2017 for $650 outright, but starting February 1, the smartphone's price dropped to just $550. The good news is you can now grab one for an even lower price thanks to a new deal offered via eBay. There are some drawbacks of course, but you'll still be able to shave off more than $200 from the phone's MSRP. 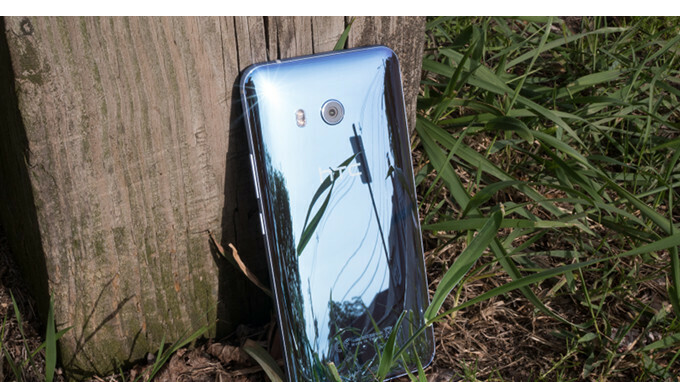 If you don't mind buying an HTC U11 without the original box and no USB-C earphones that usually come with the phone, you can now get it for just $345, so you'll be saving exactly $205. Well, a bit less considering you'll have to buy the earphones for $40 via HTC. However, there are some other caveats that you should know about before taking a decision: the phone does not support Wi-Fi calling on Verizon, nor VoLTE and Wi-Fi calling on AT&T. Also, it fully supports T-Mobile, but it's not compatible with Sprint. It's not U11 life, it's the U11. Wow, a steal deal, I'd get one for my bf for his bday. New other (see details): A new, unused item with absolutely no signs of wear. The item may be missing the original packaging OR may have been used in the bathroom by the original owner. You completely ruined it for me man, thx a ton.